For the New Zealand politician, see Harold Arthur Russell. Harold John Avery Russell  (January 14, 1914 – January 29, 2002) was a Canadian-American World War II veteran who became one of only two non-professional actors to win an Academy Award for acting (the other being Haing S. Ngor). Russell also has the distinction of being the only performer to sell his award Oscar at auction. 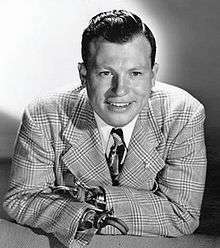 Harold Russell was born in North Sydney, Nova Scotia, Canada and moved to Massachusetts with his family in 1921, after his father's death in 1920. In 1941, he was so profoundly affected by the December 7 attack on Pearl Harbor that he enlisted in the United States Army on the following day. While an Army instructor, and training with the U.S. 13th Airborne Division at Camp Mackall, North Carolina, on June 6, 1944, a defective fuse detonated an explosive he was handling while making a training film. As a result, he lost both hands and was given two hooks to serve as hands. After his recovery, and while attending Boston University as a full-time student, Russell was featured in an Army film called Diary of a Sergeant about rehabilitating war veterans. When film director William Wyler saw the film on Russell, he cast him in The Best Years of Our Lives with Fredric March and Dana Andrews. Russell played the role of Homer Parrish, a Navy sailor who lost both hands during the war. In 1992, Russell needed money for his wife's medical expenses. In a controversial decision, he consigned his Oscar for Best Supporting Actor to Herman Darvick Autograph Auctions, and on August 6, 1992, in New York City, the Oscar sold to a private collector for $60,500. Russell defended his action, saying, "I don't know why anybody would be critical. My wife's health is much more important than sentimental reasons. The movie will be here, even if Oscar isn't." The Academy of Motion Picture Arts and Sciences has required all Oscar recipients since 1950 to sign an agreement forbidding them from selling their award; as a pre-1950 winner, Russell was exempt from this provision. Russell died of a heart attack on January 29, 2002, 15 days after his 88th birthday, and is buried in Lakeview Cemetery in Wayland, Massachusetts. ↑ Cameron Rollins, Beth. "Nova Scotia Historical Vital Statistics". Nova Scotia Genealogy. ↑ Cameron Rollins, Beth. "1930 US Census". Ancestry .com. 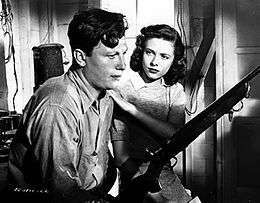 ↑ "Harold Russell Dies at 88; Veteran and Oscar Winner". New York Times. 1 2 Bergan, Ronald (2002-02-06). "Harold Russell; Brave actor whose artificial hands helped him win two Oscars". The Guardian. Retrieved 2008-02-05. ↑ Rothman, Heathcliff (2006-02-16). "I'd Really Like to Thank My Pal at the Auction House". New York Times. Retrieved 2008-02-05.